It's the early '70s. He is just another struggling actor, poor as dirt, lucky as Job of the bible. He happens, however, to also be a budding writer and has spent the last three years writing a script. It is a near miracle, then, when one of the major studios shows interest. They offer him $20,000 - the then minimum for scripts being bought. Having spent the last seven years an otherwise total failure of a struggling actor, he is of course elated. They name Burt Reynolds and other famous stars as actors they want to play as the film's lead. The writer hesitates at this. He's an actor too. He explains he always imagined himself in the movie. Sorry, they say; that's impossible. You're nobody; nobody knows you. They offer him $30,000. He still hesitates, explains he really wants to star in the movie. The offers start to climb. Now they're offering him $100,000. The writer-actor has $106 in the bank and not a penny more. He has a wife, a family. They say they want to give him $100,000 and for that money would consider trying to get Robert Redford to star. The writer-actor is impressed, excited, but conflicted. He's always wanted to act, that's why he wrote the script, wrote it with himself in mind as the lead. The offers climb, finally topping $300,000. Adjust for inflation for, say, 1974 (Ie. a hell of a lot more than $300,000 which is still today a whopping wad of cash). He needs to think about it. Goes home to the wife. Again $106 in the bank. Just the previous week he literally sold his dog he is so poor. Couldn't afford dog food. To say he needs the money bad is a massive understatement. And $300,000. It's a fortune. He returns to the studio people the next day and, of course, refuses their offer. They will only pay him $350 a week for the shoot, and of course they only pay him, Sylvester Gardenzio Stallone, the $20,000 studio minimum for the script. The rest is of course history. 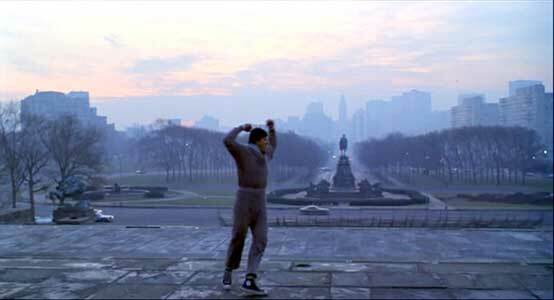 Rocky [cue theme music] goes on to be nominated for nine Academy awards, wins three, including Best Picture for 1976. It is also that year's highest grossing film worldwide.